Released in 1977, Running on Empty is Jackson Browne's fifth album that's famous for it's title track and follow up single The Load-Out/Stay. It's a live album that does not sound like a live album. All of the tracks were recorded either live, in a hotel room, on the tour bus or backstage and the sound is impeccable. Also, none of the songs presented here never appeared on any of Browne's previous albums. The album was huge success amongst music critics and fans, going platinum in 1978 and went multi-platinum in 1997 and again in 2001. To date it remains Browne's best selling album having been nominated for two Grammy Awards; Album of the Year and Best Pop Male Vocalist. The album spent 65 weeks on the American charts peaking at #3. Both Running on Empty and The Load-Out/Stay peaked at #11 on the singles charts. Rolling Stone magazine ranked Running on Empty at 496 in its list of The 500 Greatest Songs of All Time. Running on Empty is one of those albums that you can listen to over and over again and each time, you find something in the music, the lyrics the emotion, the humanity that you didn't notice before. It's one of the most beautiful albums ever composed and showcases just how much of an artist and craftsman Jackson Browne is. 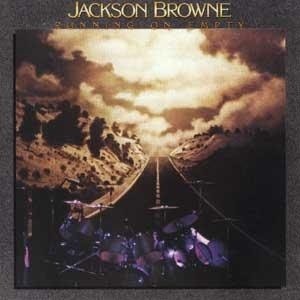 Jackson Browne is one of those artists that really remind me of when I was little. My mom had this album and would play it often when she would do house work. Another great song is Doctor my Eyes. Truly a timeless classic.